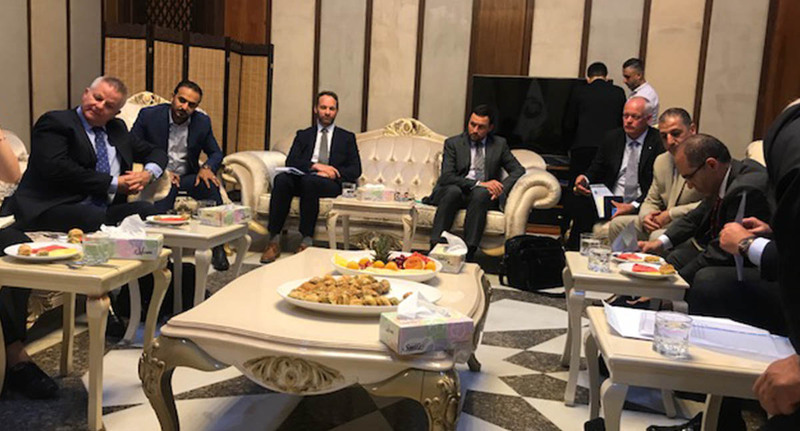 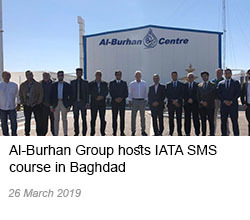 Directors of Al-Burhan Group and IBBC conducted a very successful meeting with the Minister of Transport HE Kadhim Finjan at the Adnan Palace in Baghdad. 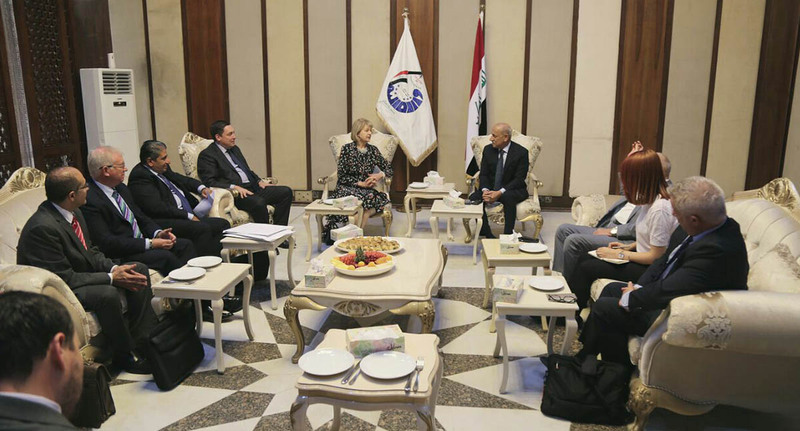 In attendance was Baroness Emma Nicholson of Winterbourne, Her Majesty’s Ambassador to Iraq Jon Wilks , Serco Middle East CEO David Greer, Serco Managing Director of Aviation and Defence Peter Mohring, Operations Director for G4S in Iraq Drew Johnson, Imad Burhan Managing Director of Al-Burhan Group, Sabah Al Haydary Director of Corporate Affairs of Al-Burhan Group, Martin Aggar Director of Al-Burhan Security and His Excellency the Minister of Transport’s team and aids. 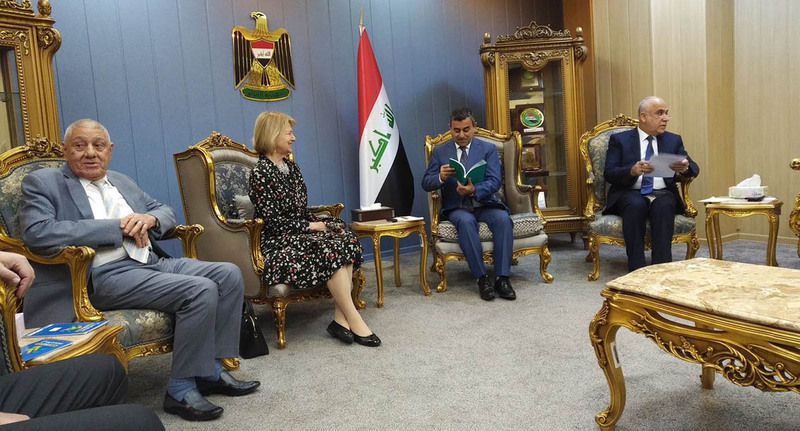 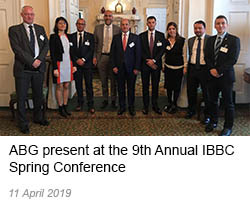 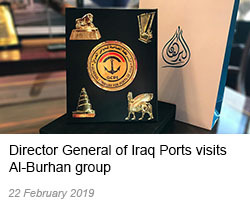 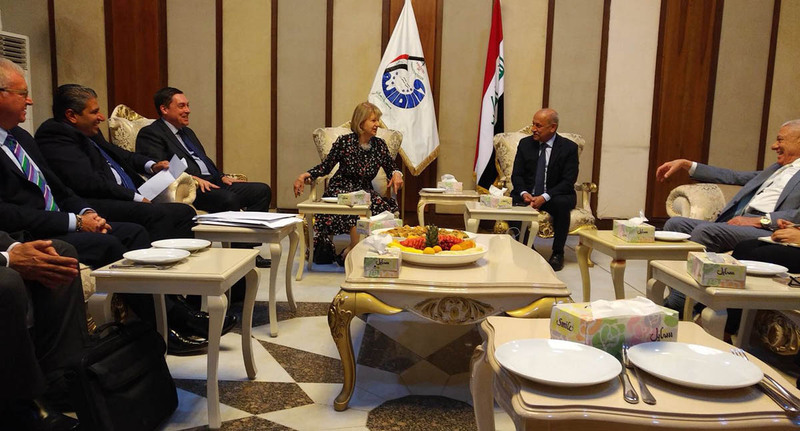 The IBBC and Baroness Emma Nicholson of Winterbourne have made much of this positive work possible and Al-Burhan Group thanks Baroness Emma Nicholson of Winterbourne sincerely for her support and commitment to Iraq. 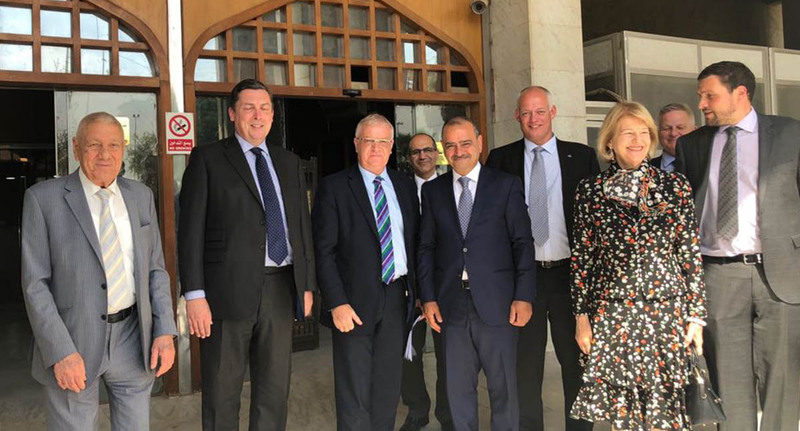 A further meeting took place with Ambassador Jon Wilks and the Baroness Emma Nicholson at the Council of Ministers offices with Dr Mehdi Al Alak Secretary General of the Council of Ministers and Dr Abdulkariem Faisal Chairman of PMAC. 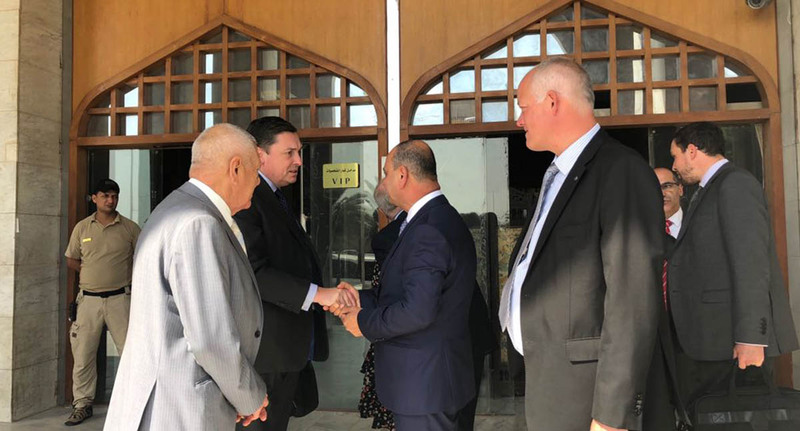 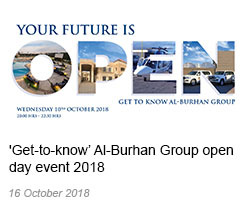 Al-Burhan Group would like to thank Baroness Emma Nicholson of Winterbourne and Ambassador Jon Wilks and for their support during this crucial meeting.